Earlier this month, as part of the Urban Farm Challenge, I suggested you try making some lemon cheese. Well, if you enjoyed that, be sure to check out my guest post today on Simple Bites! 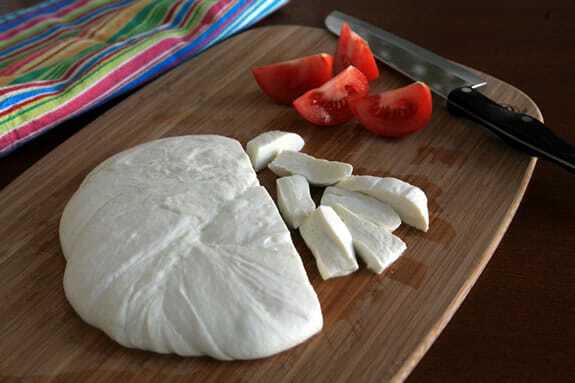 I share the best party trick ever: How to Make Ricki Carroll’s Thirty Minute Mozzarella. easiest cheesiest recipe ever! I can’t wait to make a HUGE batch for pizza night on friday 🙂 The leftovers will be string cheese for the wee one!